Our Fearless Leader… Karin Palle! We are excited to not only have a blog, but to have the opportunity to feature the incredible members of the Utah Women’s Networking Group. We thought it would fitting to start with the leadership of the group. Ladies and gentlemen, let’s give a standing ovation for the President of the UTWNG, Ms. Karin Palle! Although Karin is not the original founder of the group, she is definitely the engine behind its growth and success over the last six years. She is very passionate about women gathering together to learn, inspire one another, and develop deeper relationships. She is quick to tell anyone that the UTWNG is not about sales, self-promotion, and growing your business. That may happen, but only as a result of genuine relationships. Now believe it or not, Karin does have a job outside of the UTWNG. She is the Director for The Center for Entrepreneurship at Westminster College. If you know anything about Karin, you know her passion for entrepreneurs at all levels! 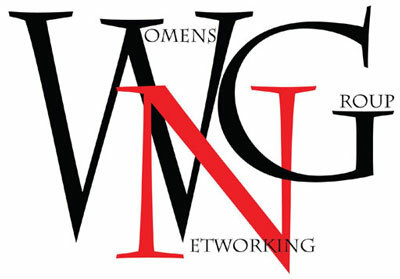 You will be hearing more about the Women’s Entrepreneurial Conference she is spearheading in April. I was secretly married on 12/12/12 at 12:12 p.m. with 12 witnesses by Mayor Kelvyn Cullimore (Cottonwood Mayor) on my lunch break and my husband took me to Chipotle for lunch to celebrate. LOL! Public figures – Ellen DeGeneres and Oprah Winfrey – I learned the power of giving back and making a difference in my community. And, I definitely want to share Ellen’s mantra: be kind to one another. China – I would love to develop a woman’s networking group (yes – big aspiration) and spread the word of entrepreneurship. Collaborating is more powerful than competing. Believe it or not – the UTWNG Facebook page. I learn more from our members than anywhere else. Their willingness to share their expertise is invaluable. If you focus on building relationships and sharing your knowledge and expertise, the UTWNG will be a valuable tool for your personal and professional growth. Now when you see Karin hosting an event you can heckle her with your new knowledge! But in all seriousness, please take time to get to know Karin. We can guarantee that she wants to get to know you. She cares deeply about the UTWNG members, and about creating a meaningful environment for each and every one. Karin, I LOVE the phrase “Collaborating is more powerful than competing”! Thank you for sharing (and for all you do to inspire others).